Pennsylvania Whiskey: Michter's Decanter Values. Just What Are They Worth??? Michter's Decanter Values. Just What Are They Worth??? Those cool Michter's decanters your dad had. You know, the ones in the garage in that box? The ones he went and bought at the little wood house at the distillery after taking the tour? They're probably worth a FORTUNE right? I mean, after all, Michter's did close over 20 years ago! Unfortunately your dream of sitting on thousands of dollars worth of rare decanters is probably far from the truth. I'll explain why. It's a simple equation of supply and demand. Sort of. Let's start first of all with explaining production numbers. Michter's decanters over the years were produced in many different quantities. I have reason to believe that the production numbers I listed in a previous post are accurate. Decanters were produced in any quantity anywhere from a dozen or so up to thousands. This is the main point in determining decanter value. Anything under about 750 pieces is going to be more valuable. Anything over will decrease in value sharply. This is also not to say that anything with a production run of less than 750 is going to be hundreds of dollars either. Let's take some examples: The Sour Mash dog was a production run of 500. It is one of the rarest decanters and can regularly fetch $75 in excellent condition. Then look at the standard Hex decanter with a production number above 5000 pieces. You can't give those suckers away- even if they're full and in original boxes! Which brings me to my next point- the whiskey. Having full decanters will add, at best, $5-$10 to the value-and that would be for a full AND rare decanter. Same with having an original box or receipt. 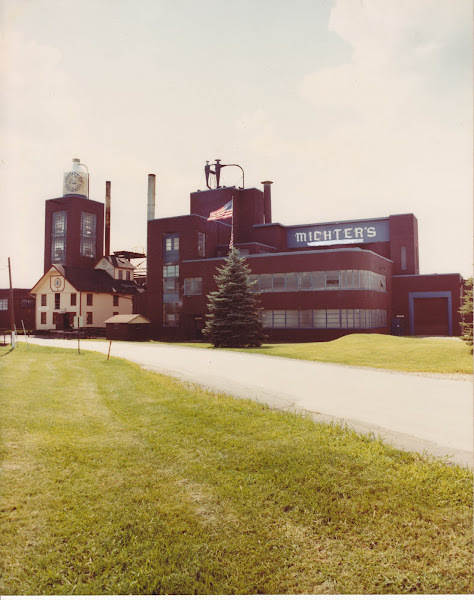 The fact is, there is still GALLONS of Michter's out there. And while it was some amazing and wonderful whiskey, it's not the best and never received a 5-star rating from anyone. Some people in the Lebanon area still have enough laying around that they bake with it yet. So your full Doughboy or York Pullman is still only unfortunately worth about $5. The ONLY 2 decanters that are worth significantly more full are the Gold Pot Still and the Quarter Whiskey bottles. Why? Because the whiskey inside the Gold Pot Still decanters was from the mini still in the Still House. That's in writing. Same goes for the Quarter Whiskey bottles. It's un-aged distillate from the mini still. So what are full ones worth of those? The Gold Pot Still full should fetch $100 and the Quarter Whiskey full could reasonably fetch $150. But this is in perfect market conditions. Which inevitably brings me to point number 3. The market. What you need is demand for your decanters to fetch a decent price. If only one person wants them and no one else, they can pretty much name the price. Making a counter-offer would be pretty much useless since they'll probably just walk away. This is why all of the common decanters are not worth the ceramic they're made of. The demand has been more than satisfied. However, there are more than 1 or 2 Michter's collectors out there that are missing rare pieces- myself included! And when you get 2 people in a bidding war, the price can quickly skyrocket. Don't expect it to happen for all your decanters though- rare ones included. My last point ties into the previous loosely. The themes of the decanters can influence their values also. The Pitt and Penn State decanters are also collectibles to Pitt and Penn State fans as well. People in Lancaster like the Amish Buggies and Reading residents will be partial to the Pagoda. And who could forget the Tut series that put Michter's on the map? New York police officers may want to have the NY Policeman to show their support for their brothers in blue. All Michter's decanters will have a significance to someone somewhere outside of it being a Michter's item, this is true. However, it would have to be a good-sized crowd to really affect the value at all and compete with Michter's collectors for them. I don't think the good men of the Zembo Mosque are cornering the market on Zembo Tuts. As you can see, there are many large variables that determine the ultimate value of your old Michter's decanters. And PLEASE, PLEASE, PLEASE DO NOT use EBay or any other auction site to value your decanters. That Tut for $50 has been on there for 5 years. Same with the Canal Boat for $90. They'll return back to dust before they sell for those prices. Contact that dude you know with the Michter's obsession or myself and ask about values though us. I constantly watch the market and I am slowly assigning price ranges to all the decanters. I won't lie or low-ball, but if you have all common stuff, be prepared for me to tell you an honest price there too. I hope this helps explain the mystery of why your Covered Bridge sold for $40 and your Christmas Tree sold for $15. Again, feel free to drop me an email at bluecapriethan@gmail.com !!! Pretty much. IF (And that's a HUGE "if") the whiskey is still good inside, drink up! The chances of getting good whiskey out of a 30 year old decanter is pretty low though. Trust me. I know. Does anyone know if the series for "Atlantic City Casino" (with the roulette wheel) is worth anything? The Atlantic City Casino decanter is one of the most common in the series, if not the most common. This is probably due to the fact that of all the locations listed on the 6 decanters in that series, Atlantic City is the closest location and people probably had more of an attachment for it. I actually have several spares of this decanter myself. I've only paid maybe $5 for them. With the market being what it is right now, it's a good decanter to display on the shelf as something interesting with a cool history to it. Question - The photo you have, that is the Distillery in Lebanon Co correct? Do you have any more photos. My grandfather ran that distillery - Charles Everett Beam. What is the going price for the Penn State Nittany Lions 39 Straight Non-Losing Seasons decanter which remains unopned? I bought mine (Still full, in it's original box) for about $25. They're pretty common, but there is a small cross over from the Penn State fans as a collectable as well. What was the number of production? I did not think there were many made. Also, was your decanter full? Ethan, $25.00 seems rather low. If I can remember correct, I bought six bottles in 1978 @ around $29.00 a piece. But then again, my mind may be a little hazy on the exact price. There were 7200 made, placing it as one of the most common decanters Michter's made. Most other decanters were in the 500-3000 range. The unfortunate thing is, with the economy being what it is, most of the more common decanters have lost significant value. Tuts, which retailed from $30-$80 are worth maybe $10-$30 on a good day. Same with Hex decanters, stage coaches, and ice wagons. There are just too many out there. As I had briefly mentioned in my last response, the Penn State decanter does hold some of its value for the reason of it also being a collectable for a Penn State fan. Being full adds some value, but not much since you can't determine the integrity of the whiskey inside. Most full decanters these days have highly oxidized whiskey inside them due to the porosity of the ceramic and ceramic glazing or the cork has allowed air in. The value of a full Michter's decanter comes from being "complete and un-broken" more so than the whiskey inside. If your decanter was empty, I'd say maybe $20. The Penn State decanter I bought was (and still is...) in its original box, tied off in its original bag, and still full and in perfect, mint condition. I bought a second one about 3 months ago, also full and in its original box for about $5, but that was in a deal with a bunch of other stuff too, so I don't count that one as a "true value" purchase. Honestly, if you're looking to sell it, hang on to it for a little while or sell it when Penn State wins a bowl game. Also be aware that EBay no longer allows the sale of full decanters, bottles, or anything containing alcohol, so that market has now been lost. This is really unfortunate as that was primarily what was holding prices up to where they were and allowing sellers to connect with interested buyers all over the nation. But due to the legality of selling alcohol in that type of setting, I can understand why EBay has decided to do what they did. I'm sure in the future there will be new avenues that people create to buy, sell, and trade alcohol memorabilia. I am not a bottle collector but happened to come accross two 100 ann. of the Reading fire dept. bottles one in the box, both empty.since I'm from Reading , I bought them.The one in the box was $4.00and the other one had the top purchased at shupps grove for $3.00 and the bottom puchased on the same day at another flee market on the same day for $2.00.I'm happy with the buys. Did I do o.k. and are they woryh more than that? I'd say you did fine. Those decanters are fairly common, but they usually go for $10-$15. Good find! Hi--I have a 1956 revenue stamp on the 1st year of Michtner's Pot Still whiskey, unopened with full contents--just wondering the value: Jaguar7266@yahoo.com. Thanks, Frank. Frank, I sent you an email response. Enjoy that jug. It's an awesome display piece and having it full is just that more cool! About $10-$20. A great display piece! 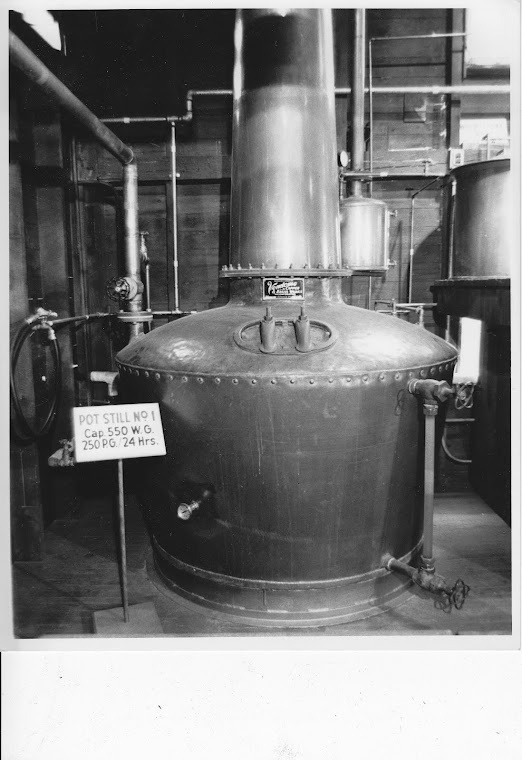 What are two 1/10 pints of Pot Still Original Sour Mash Michter's Whiskey worth? Unopened, stamp sealed. Those little guys are more for display than anything. I can all but guarantee the whiskey inside is bad as those were notorious for not being air tight. Be careful if you would decide to drink any of it. I'd say they're about $5.00 each. They're something small and easy to display. I have the conestoga wagon and the beams choice with lt. sc robinson on it. Both are full with the seal What are they worth?? I can't speak for the Beam decanters, but the Conestoga wagon is a nice piece. Full, your wagon could get $25. It's one of the first decanters Michter's released in an large quantity, and with the cork being on the side, they stand a greater chance of the whiskey still being ok to drink. Hey Ethan! I saw a Halloween themed Michter's decanter (a witch on a broom stick) for $40 at a flea market today. It was an empty bottle with no box. Is that reasonable price? Seems a little high, but they aren't that common. So here's where it becomes a battle of "Do I want it that badly?" If you could get it for around $30, that would be a more reasonable deal. If it's at a flea market, one would hope they would be willing to make a deal and barter a little bit. Good luck! Does anyone know what the value could be? There are 3 variants of the Pot Still decanter. The first is the standard 86 proof, brown glazed decanter. The second is a 101 proof, brown glazed decanter. The last one is the decanter of worth- a gold glazed decanter, with a gold number on the bottom. The first two, glazed in brown are worth about $10-$20 full with the 101 being the higher end since it was a little rarer. The gold pot still full would command anywhere from $50-$100 full as it would be a very rare find. Regardless, you've got a great little decanter! We have a Reading Pagoda decanter and we are wondering an about figure of price. Can you help?? The Pagoda is fairly common, so it only gets about $5 to $15 each. I recently found an unopened bottle of Michter's Whiskey; the seal is intact. Is this worth anything or even drinkable? Thanks! A glass bottle or a decanter? If it's a glass bottle, make sure the whiskey inside is a nice clear, amber color with no cloudiness or sediment on the bottom of the bottle. I've gladly paid $50-$100 per glass bottle depending on size and condition. It is a glass bottle; I held it up to the light and saw no cloudiness or sediment. Can you point me in the right direction of who to contact to sell this? My family doesn't drink; the only reason I even have this is it belonged to my dad, who passed away and I found it when going thru his belongings. It was packed away, which I believe is why it's in good shape. Thanks!! The issue with alcohol is that unless you have a permit, you can't legally sell it. That's my caveat on that, but it's not to say thousands of bottles don't get traded or bought and sold between people each year in the US. Contact me at bluecapriethan@gmail.com so we can discuss it privately. I may know some people that may be interested in it depending on what you'd want to do with it. Those are interesting little decanters. There was a series of them and some believe the 50ML is the hardest to find. I think it all depends on what's on the market as all four sizes are quite rare. Full or empty, they would be worth about the same. Probably right now around $40-$60. Those are hard to assign a price to as I've seen them sell for around $10 all the way up to $100 (Which in my opinion is way too high for that decanter.) Regardless, good find! Those certainly don't show up every day! Cool! That's one of my favorite decanters- it is a great 3 dimensional piece, the cork is in the side (It keeps the oxygen out better that way), and the Kauffman Distillery was located close to my house. If it's full and in it's original box, you can get $25-$50 for them usually. It's one of the later decanters and can be a bit rare. Empty they get about $15-$30. Hi. I have a Pennsylvania Football decanter, full but the seal is broke. It has the plastic bag and box all in nice condition. What is the value? From reading previous info is it correct to leave it full for the value but don't drink it? If the tax strap is broken, you may as well pour it into a container and drink it. If the seal was intact, that would verify that it is in fact the original whiskey inside and not tampered with. Once the seal is broken, a purchaser would not trust the contents as original. As for value, you'd probably be at $5-$25. The Pennsylvania football was very common, but like most Michter's decanters, it's a fun display piece with a good story. There were other football decanters, and some of them are VERY rare (There was supposedly only 2 made of the Delaware decanter!). Most of those were also filled with a Blackberry Brandy instead of Michter's Pot Still goodness. I came across an empty Quarter Whiskey bottle, pint size. I love the old looking bottle and label, but is it worth anything? They certainly aren't the most common piece (And they crack real easy- Ask me how I know! ), and they do display well. As long as your paper front and back labels are good, you'd be looking at around $15-$20. While that isn't much, keep in mind that most glass whiskey bottles these days from other distillers are only worth a few dollars. The market ain't great, for sure, but at least the Michter's stuff holds some value and it displays very nicely. Do you have any idea how many of the 1939-1977 Penn State decanters were misprinted? Not sure why they have "York Pullman Car" in there. I think it was an editing error since this was copied verbatim from the newsletter. The York Pullman has nothing to do with this article. Hi. I guess from reading everything above, my unopened King Tut decanter is not worth selling? I would like to get rid of it. Unopened King Tut decanters can at least get $15-$25 in most places. Don't just dump it or throw it out! There are plenty of people out there that would take it off your hands. I have a few of them already. Put them on Craigslist or ask around to friends. I'm sure someone will want them. I have 10 Michter's decanters (1976 Pitt Champions, 2 Reading Pagodas, 2 Daniel Boone Barns, Canal Boat, York Pullman Car, Conestoga Wagon, Stage Coach, & Bomberger Stillhouse. Can you give me an idea of what I could sell the whole lot for please? Thanks! You could probably get $75 to $100 for all of them. The Bomberger Still house is the rare piece of that set. Judy, Interested in the Pitt decanter if you are going to sell individually. I have Michter's Ice Wagon 1979 and the Halloween witch on a broom with pumpkin. Do you know value? Thanks. Both of those decanters are a bit on the common side, so expect $5-$15 for the Ice Wagon and $15-$25 for the witch. I have a michter's wooden jug tree, consists of a wooden stand and some odd nails to hold the michter's jug with a michter's label on the bottom of the stand, I can not find a picture of it when I google it, nor have I seen it on ebay. it holds 5 michter jugs, any idea what this might be worth? I know exactly what you're talking about. On the base, there is a spot where it says "MICHTER'S" on what looks like old paper. I have two of these stands. I can tell you I paid $35 for one and $20 for the other. I would put a max value on it of about $50 in the right market. I've never seen one go for more than that. If you're local to the Lancaster area, I may be interested in it for myself as they are quite nice for me to be able to display my decanters on! How much would you ask for a 1979 Easton Peace Candle decanter? No liquor in it and the top doesn't have a snug fit. Do you know how many were produced? Peace candles are what I would call "moderately" common. They're not as common as the jugs and Tuts, but not as rare as a 1986 Penn State decanter. Empty, and being the Christmas season, you could probably get $20 for it. Watching decanter sales on EBay, things are still down. The rare stuff is super crazy, but everything else really seems to have hit a slump for a few years now- great for buyers, bad for sellers! Michter's published a figure of 6000 made, though I really doubt that. I have a feeling it was quite a few less! I have a Mitcher's boat and a Mitcher's miniature bottle, both are sealed and full. the mini bottle has cellophane type shrink wrap on it. What would each of these be worth and where could I list them to sell them ? I also have a large collection of miniature bottles and other decanters I would like to sell as well. My parents belonged to the PA Miniature bottle club back in the 1970's and need to downsize. Is there an auction type of site where I could list these ? Good questions. The Canal Boat isn't too common these days for some reason. Full in box, expect $30-$40 maybe. Empty you could probably get around $10-$20. The little mini you could probably get $10-$20 for as well since it's full. As for selling them, email me at bluecapriethan@gmail.com and I can give you some suggestions. That's a good question. If you're on Facebook there are various groups you can post pictures to. That's going to be your biggest audience of folks that would know what's going on and what's what. I know about Michter's and a bunch of other PA distillers, but other brands, not so much. A lot of the Kentucky products can really take some time to figure out what came from where. You can also contact the Oscar Getz museum in Kentucky. They have a wealth of knowledge and may be able to get you the information you need as well. That is a VERY rare decanter. I would not sell it for less than $75. I've never even seen the box for one. Does it have any writing or graphics on it? I found a westenberger ice wagon decanter. Empty but with box. Any idea of price? Those are neat decanters. With the box, probably $10-$20. Have a Series A l970 1/2 Gal. Sour Mash jug (long empty) with part of stamp on top. Value, please? The Series A jugs seem to be fairly rare. I have no idea why, but the Series B and C jugs are all over the place, but the A's are seldom seen. Here's the problem- the Series A jugs look VERY similar to the Series B jugs. Both have only blue text and graphics. Unless you're specifically a collector, you probably wouldn't notice the differences. There ARE people out there seeking the Series A stuff. How it will affect value, I can't answer, but only recently did I finally find a Series A 1/2 gallon. I only paid about $25 for it if I remember correctly. Regardless, it does have value though to the right person, so don't undersell yourself. Regardless of how much or little the value of a Michter's decanter, I never suggest throwing them away. It sounds like you've got an early jug, and depending on the size, can be worth some money. I actually have one sitting here on my desk that was converted into a lamp by Michter's many years ago. In bright light, you may find the lettering to be a dark green. Of that early series, there were several sizes- half pints, pints, 4/5 quart and 1/2 gallon. Some of them are quite rare and can fetch a decent amount of money. Only the 4/5 quart size seems common- and even that isn't often seen. We're not talking thousands or hundreds of dollars, but for the 4/5 quart, I could see $20. Rarer sizes can be close to $50. I just checked it is 4/5 quart so it would be worth about $20.00? Yep. That's around what they go for. In comparison, the Series B and C jugs go for only about $5 each. Those are the first series of jugs Michter's made, and can be fairly rare. The 4/5 gallon jugs generally run around $20, the 1/2 gallons are more rare and run $30-$50 most of the time. My guess would be those are the Series C quart jugs. Full, you can expect $25-$45. That's great that you still even have the receipt too! The picture on them looks like the distillary. That sounds like the Series C decanters. They should say "Series C" in small print near the bottom on each decanter. I'll see what I can do. The problem is, the decanters were so popular that the glass bottles are a true rarity! I see them pop up online various places for sale, but the price is often very high- expect $300-$600 for a bottle. If I see or hear of any for sale, I will keep you in mind and let you know.